Original sketch of central tree and major set elements. 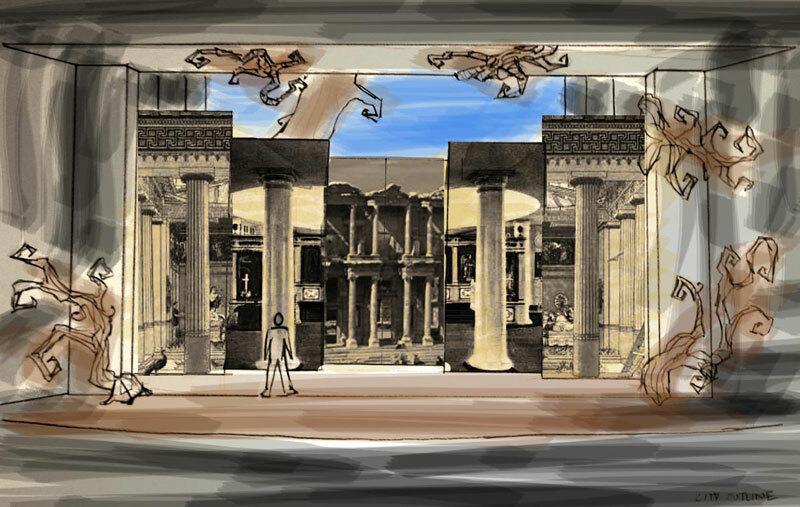 Early city design for acts one and three. 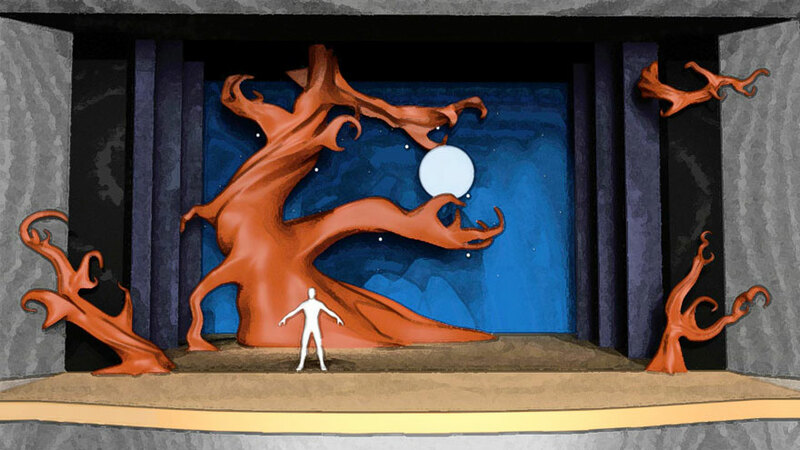 Rough 3D layout for act one (before the forest). 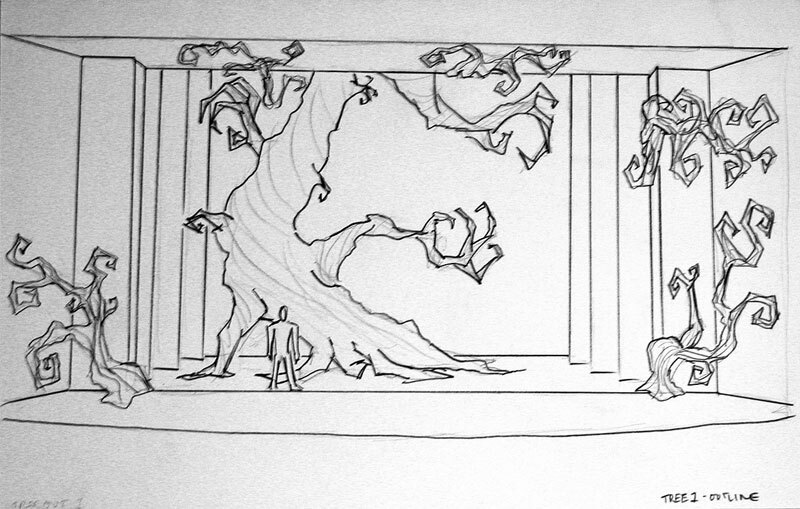 Rough 3D layout for act one (in the forest). 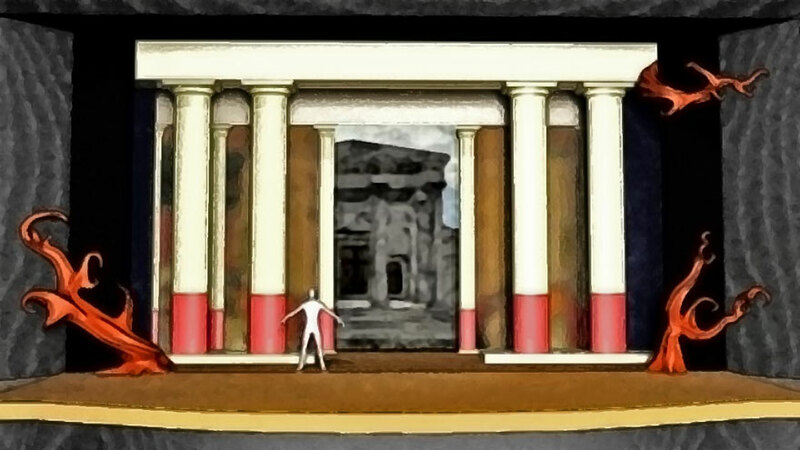 Rough 3D layout for act one (after the forest). 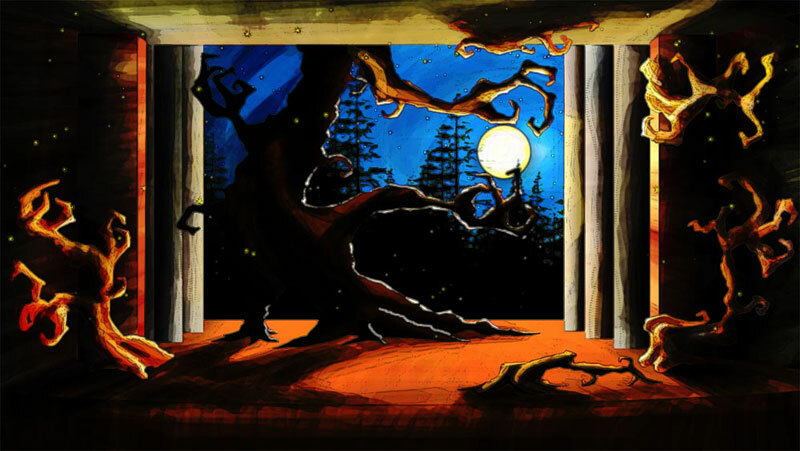 Set Design project for proposed production of “A Midsummer Night’s Dream”. 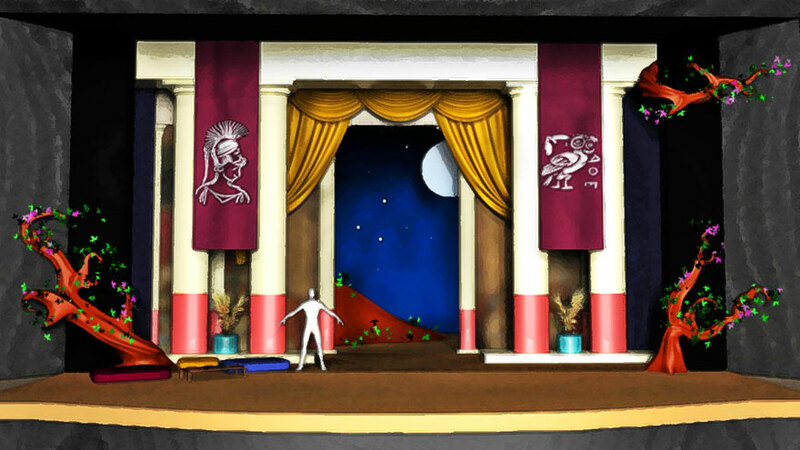 Concept: The design for this production follows the classical Greek setting from the play. There are two main sets; the city and the forest. To maintain interest for the all-ages audience, the forest is intended to be a creepy and dark work that is in constant motion. A remote control motion system is intended to move the tree throughout the forest scenes. Other stage tricks include the blooming tree leaves and flowers for the final scenes of the play. The sets have been designed to fit in a specific theater located in Chico, CA. Like other digital pre-production work, this piece could also be animated in Maya.